An updated suave space including fabulous tiles and a super-fly home bar...? What more could you ask for in a San Francisco renovation? 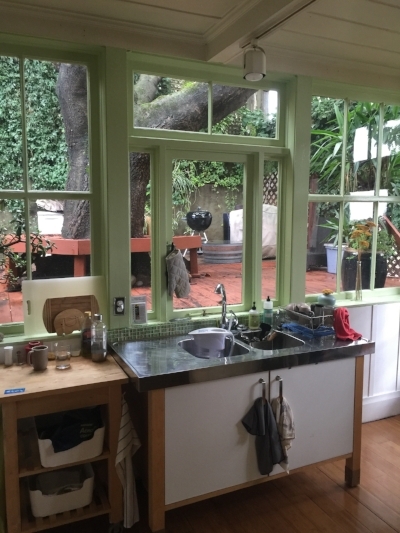 Today, I’m excited to share this night-and-day transformation we recently completed in Bernal Heights! Backstory: Our clients are a newlywed couple with Texan, New York, and South American backgrounds. They recently purchased this three-story stunner with big dreams: making it their own one level at a time. To start, they set us to work on the main floor, which included the kitchen, a small dining room, and a split bathroom (more on that later). Now, I have to warn you. Although this story has a happy ending, our path was not strewn with rose petals and daisies. Yes, I could have just kept quiet about some of our struggles, but if you’re renovating in the city, you might face these same roadblocks! Yep, we had our hands tied, but none of these problems is too big to solve. (Plus, we admit we love a challenge!) So let’s take a look at how we transformed each space by room. 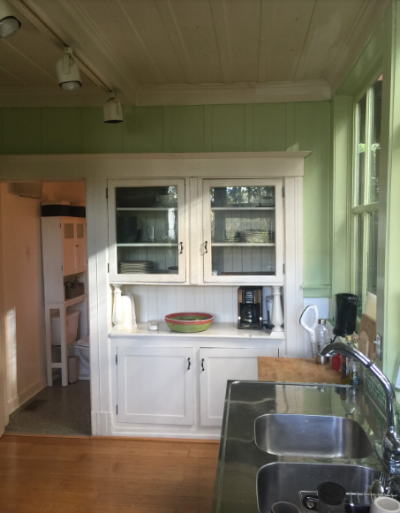 These troubles aside, though, the kitchen had an undeniable charm. Those big windows were simple and beautiful, and our clients loved the view of the magnificent tree in the backyard. Sounds like an inspiration piece to me! We quickly decided that the windows would be the focal point of their space, and we’d try to bring in some of the outdoors and their different cultures, too… all while making the space more usable. This space got a total makeover. We said bye to the green and hello to white and attractive, matte black window frames. These attract the eye and help you notice the outdoors beyond. The black framing also plays well with the tile design, which you can see better in the next After photo. Plus, these tiles from Exquisite Surfaces are insanely gorgeous. I could stare at them alllll day, and our clients fell in love with them, too. 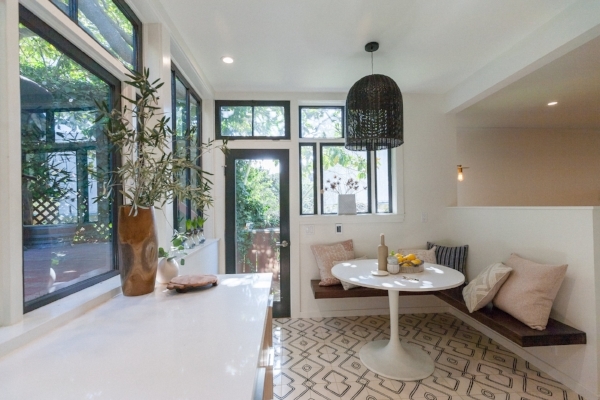 The tile design and the counter vases are both subtle tributes to South American style, while the light and woodsy tones feel organic and a little bohemian. The light fixture was another find that transformed the space. It makes a visual statement,, but it doesn’t weigh the space down. The hanging chain-link design has a hand-crafted feel. It raises the height of the ceiling and draws even more intention to the other black elements in the room — like the windows! I absolutely love this backsplash tile made by Clé Tile. The subtle nuance in color creates additional depth in the space (which we needed! 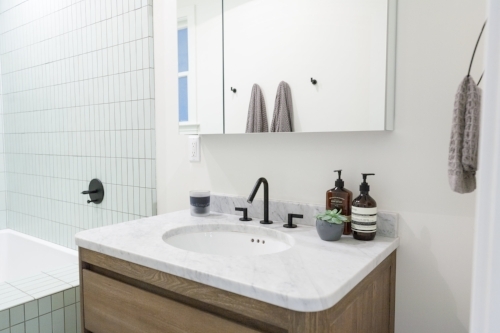 ), and although they’re not a standard subway tile, they still have a classic feel. The pale blue tone balances the warm woods of the cabinets as well. We opted for open shelving for a few reasons. First, the look of open shelving embraces the modern bohemian vibe. Second, it keeps the space feeling open. And third, it didn’t make sense to keep the built-in that was previously there — it was beyond restoration, made the space feel very enclosed, and didn’t offer any practical usage. Now, the couple has plenty of counter and storage space without feeling like they sacrificed part of the kitchen to get it. Our clients didn’t like that it was so closed off from the kitchen. 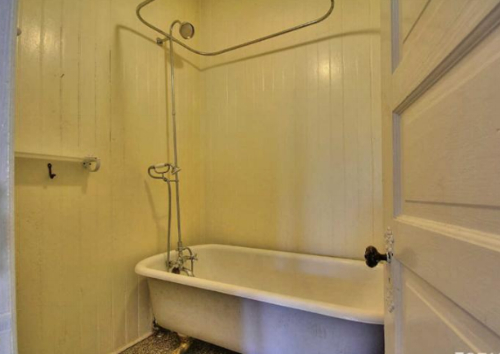 Plus, the adjoining room was teeny-tiny and its space could be better purposed elsewhere, like the kitchen. So, they voted for transforming the dining room into a home bar and entertaining area instead. Now, it's a harmonic fusion of style and color. Dimmable sconces allow for mood lighting. Dark colors create a suave and sophisticated vibe. Not to mention this music center that makes for effortless entertaining. Who wouldn’t be able to pass hours of enjoyment here?? The herringbone backsplash and dark wood cabinets contrast beautifully with the light walls and flooring. Using a dark color helps the bar sit back in the space instead of intruding. It also creates a subtle air of mystery and noir that’s irresistible. 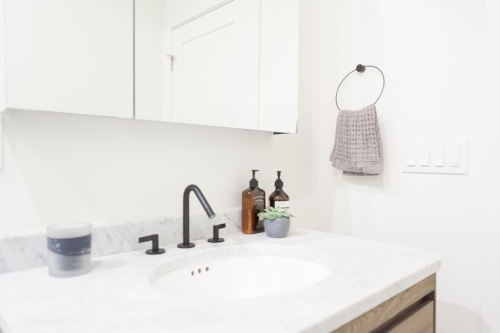 We transformed the bathroom into a spa-like getaway inspired by the colors of San Francisco fog. Our client picked out this wood vanity from Restoration Hardware, and I couldn’t agree more that it’s the perfect fit! It keeps with the woodsy organic vibe of the rest of the home, while also having a spa-clean personality of its own. This Carrara marble countertop has a quiet beauty of its own, too. If you’ve made it to the end of this post with me, you know this design and reno journey was no Sunday stroll through Golden Gate Park. We faced challenges every step of the way, but we were lucky enough to have incredible clients who were completely committed to personalizing their space. For your daily fix of project reveals and design inspiration, follow Susie Novak Interiors on Instagram!